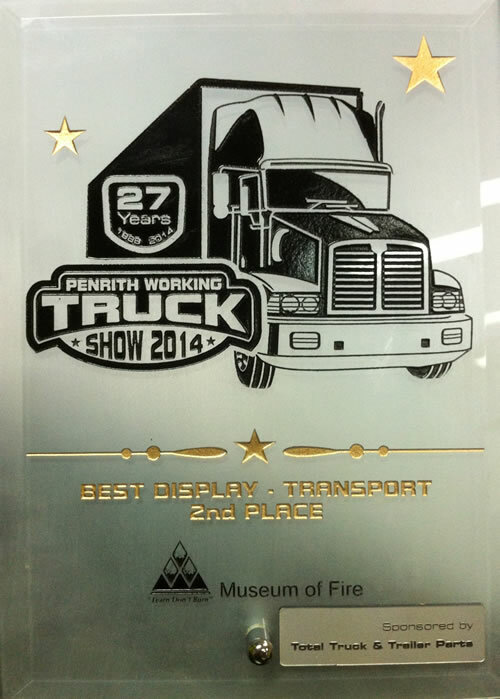 Wallace International attended the annual Penrith Working Truck Show, who are celebrating 27 years in 2014. Entering into the category of “Best Display – Transport” Wallace were judged 2nd overall and runner up to Jon Kelly’s Heavy Haulage Australia team- of Foxtel’s Megatruckers fame. ‘We are very proud of the award, especially given the competition” said Gary Perry – Wallace International’s Transport Manager. “A big thankyou to our entire team and of course our customers who continue to trust us with their business”, he added. Whilst traditionally a customs broking & forwarding business; a decision by Wallace to add their own trucks & warehousing divisions across Australia continues to propel the company forward. The Penrith show is recognised nationally as a must in the transport industry, also a registered Charity Event it is co-ordinated by the Museum of Fire and, an army of 150 volunteers. These volunteers come from a variety of professions including the Transport Industry, Bank Managers, Sales Managers, Trades, Rotarians, Police and Fire-fighters. Wallace would like to thank everyone involved for making it a successful event, and we already look forward to next year!